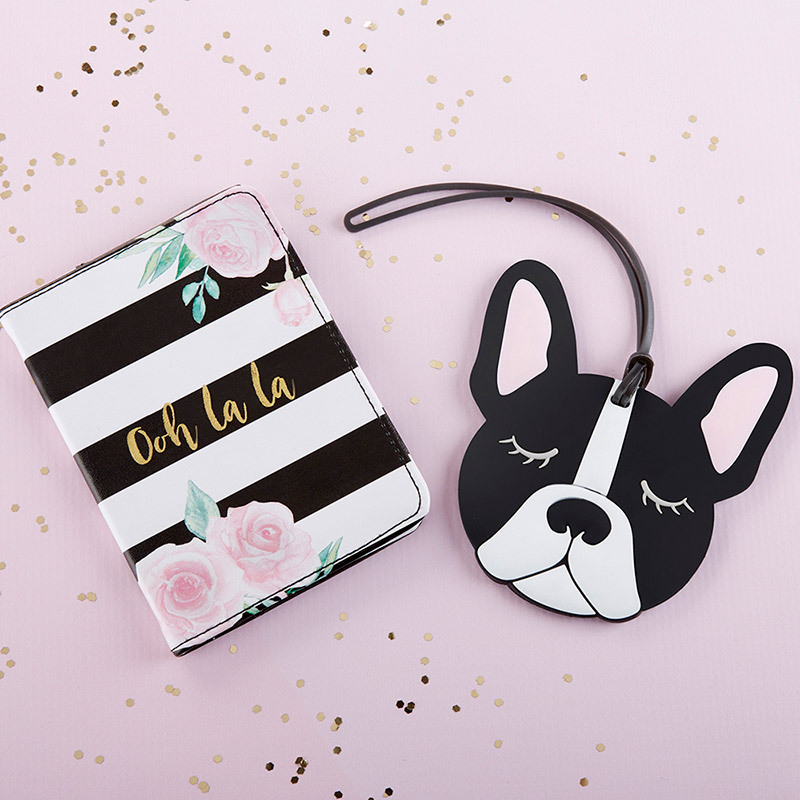 Use this luggage tag set to send your guests off on a bon voyage they'll never forget! This giftable Ooh La La Getaway Gift Set includes a striped passport case and adorable pooch-shaped luggage tag your honored guests are sure to use with pride over and over again. 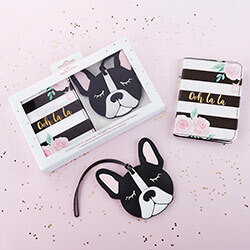 Gift set features one passport cover and one luggage tag. 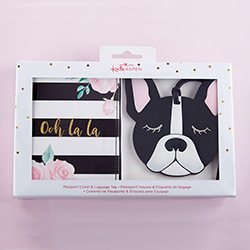 Passport cover is pleather with black and white stripes and floral detail; features two pocket sleeves on the inside with "Ooh la la" printed on front in gold foil. 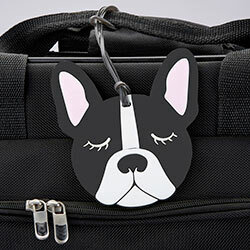 Silicone luggage tag is in the shape of a dog's face with black rubber loop attachment; backside of luggage tag is black with a pocket opening and inserted card for name, address and phone number. 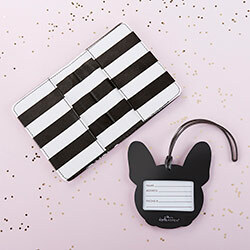 Individual products measure: passport cover 4" w x 5" h x 0.1" d, luggage tag 4" w x 4.5" h x 0.2" d; Packaged product measures 8.9" w x 5.6" h x 1" d.